When I teach on film and have the chance to recommend books I always include the ones written by Roy Anker. In fact, I usually tell people that when he publishes a new book on film I simply get a copy, no questions asked. I’ve never met Roy Anker, but if I could I would thank him for his wise faithfulness in seeing the cinema with eyes shaped by a biblical world and life view. He has written on a few of these movies before, but his treatment here is not a repetition of earlier work but a going deeper with a specific goal in mind. “One big question shapes this book,” Anker writes. “What has film to do with ‘religion,’ or, for that matter, anything at all ‘religious’?” As the list of films indicates, Anker is not reading religious content into these movies but instead has chosen films that explore what it is like when human beings stumble upon hints of transcendence, glimpses of light in a fallen and dark world. The films covered in Beautiful Light, Anker says, show the full human experiential wrestle with the possibility of religious insight and meaning—indeed, they venture a walk to the “thin places” where humanity senses the press of a wholly different reality. Clearly, those pursuits pose enormous perceptual and philosophical challenges, for people and for movies, venturing as they do into liminal borderlands between perception and reality where ordinary people (and in successful films, audiences too) run into some trace of the Mysterium, apprehending some variety of divine presence or agency. As the variety of films discussed in this book show, these sorts of occasions are innumerable and enormously varied, ranging from a mystical American soldier at Guadalcanal to a motherless blind boy in the mountains of Iran. The films treated here belong in varying degrees to what A. O. Scott of the New York Times terms “a tiny and exalted tradition” in cinema that tries “to illuminate religious experience from within.” Such films venture into another’s perception and experience thereof, and by that means, the notion goes, the numinous presence they encounter in some measure becomes palpable, whether as the still, small voice (or music) in the soul or, on rare occasion, as titanic forces. Read Beautiful Light with two things in mind. First, read it for greater insight into nine memorable films. Read each chapter and watch the film, perhaps with a group of friends. I think of myself as fairly observant when it comes to the movies, but I always learn a great deal when I listen to Roy Anker. And second, as you read Beautiful Light, use it as an opportunity to become sharper in spotting signals of transcendence in the movies. Good stories always follow a trajectory in which some sort of tension, or brokenness needs resolution. 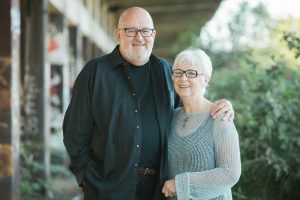 A hero is needed, a home must be found, love must be sought and in those redemptive moments broken people often catch a hint that something—and someone—greater might be there. In the gospel those hints become reality, and what is hidden in the dark enters history in glory. It is here, at such pregnant intersections of art and life that listening and conversation starts to really matter. 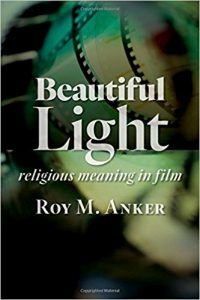 Beautiful Light: Religious Meaning in Film by Roy Anker (Grand Rapids, MI: William B. Eerdmans; 2017) 266 pages + filmography + index.